Britain's Jo Konta, Kyle Edmund, Naomi Broady and Brydan Klein all moved within one win of the US Open main draw with victories on Thursday. Konta beat Japan's Naomi Osaka 6-4 6-4 in round two of qualifying to extend her winning run to 12 matches. 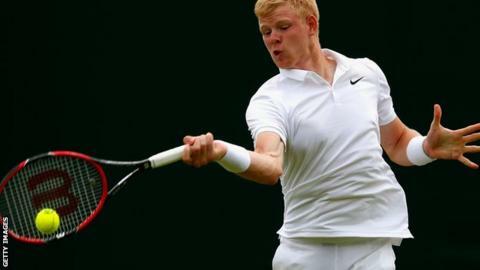 Edmund saw off Argentina's Guido Andreozzi 6-3 6-4, while Klein beat Frenchman Tristan Lamasine 6-3 6-2. Broady, the British number three, beat China's fifth seed Ying-Ying Duan 6-4 7-6 (7-2). The 25-year-old will face Estonia's Anett Kontaveit for a place in the main draw. Third seed Konta will play Austria's Tamira Paszek on Friday, while sixth seed Edmund faces Japan's Yoshihito Nishioka and Klein will take on Australian Matt Ebden. Five British players have made it directly into the main draw at Flushing Meadows, led by third seed Andy Murray who faces Australian Nick Kyrgios in the first round. He is joined by Aljaz Bedene, James Ward, Heather Watson and Laura Robson.